Following a work-related injury, you may need to find a top Minnesota Mankato workers compensation lawyer. This may be the first time you ever needed to speak to a Mankato work comp lawyer or any Minnesota attorney. You have questions – How much will it cost, how do I get treatment, and do I get compensation for my disability? 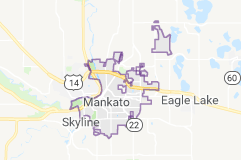 Finding the best Mankato work comp lawyers near you may seem like a difficult task. Law Office of Thomas Mottaz are here to help. Call (507) 888-8020 or 855-354-2667 to speak with a top Minnesota Mankato workers’ compensation injury lawyer or fill out the contact form and the Law Office of Thomas Mottaz will contact you immediately. It’s free with no obligation. Let the best Minnesota workers compensation injury attorneys help you. The first step in any workers’ compensation claim is to report an injury to your employer. The purpose of the requirement is to allow the employer the ability to render immediate medical attention in the hope of minimizing the seriousness of the injury and permitting the employer to investigate the claim soon after the injury. You have up to 30 days and in certain situations up to 180 days but you should report your injury immediately. If you have questions about reporting a Minnesota work injury to your employer call Anoka work comp lawyer Jerry Sisk today to discuss your options. If you have been taken off work or placed on restrictions, you are not required to go back to work against your doctor’s recommendations. The insurance company may obtain an independent medical evaluation in an attempt to try to argue that you can go back to work either in a limited or full-duty capacity. The employer and insurer will then attempt to discontinue your wage loss benefits if you fail to return to work as they have requested. Under these circumstances, you have their ability to fight the discontinuance of benefits by requesting a conference. A Mankato workers’ compensation lawyer can assist you in representing you at a conference to stop the insurance company from discontinuing your wage loss benefits. It is important to discuss with a work comp attorney at any time that you have been offered employment as it can have a drastic effect on your wage loss benefits if you refuse employment. It is important to make sure that your doctor or physician believes that work offered by the employer and insurer is not truly within your restrictions or limitations. If the work is within your restrictions and limitations and your doctor believes that it is work that you can do, then it is possible that the work could be suitable gainful employment. In that case, if you did refuse the work, the employer and insurer would be allowed to discontinue your benefits. Consequently, it is very important that you have discussed these various scenarios with an attorney so you can make an informed decision. If you have been denied work comp benefits or the worker’s compensation insurer has refused to pay benefits Mankato work comp attorneys at the Law Office of Thomas Mottaz can help file the necessary paperwork to get you benefits. Once a claim has been filed the employer and insurer have a right to undergo discovery which includes the injured worker to undergo what is called an Independent Medical Examination (IME). In certain cases, an employer and insurer may also request an Independent Vocational Evaluation if the injured worker claims that their ability to earn has been reduced by the injury. During the discovery process, the injured worker and her attorney are also afforded an opportunity to obtain records from the employer, conduct depositions of experts and relevant parties and request medical records before going to a hearing. When to Contact a Mankato Workers Compensation Attorney? The Workers compensation law and the process can be difficult to understand. If you have been denied workers’ compensation benefits or need to discuss your Minnesota workers compensation case, contact the Mankato workers’ compensation attorneys that help people with Minnesota work injuries anywhere in MN. The Law Office of Thomas Mottaz is dedicated to making sure you get the disability benefits you are owed. They will be your advocate throughout the process. Call now at (507) 888-8020 or 855-354-2667 or fill out the contact form and we will contact you immediately. We don’t set any time limits on the conference, and often times we are more than happy to meet with you as long as need be. We offer in-person as well as over-the-phone consultations.